The McGibbon family serves a community not far from the place they call home. 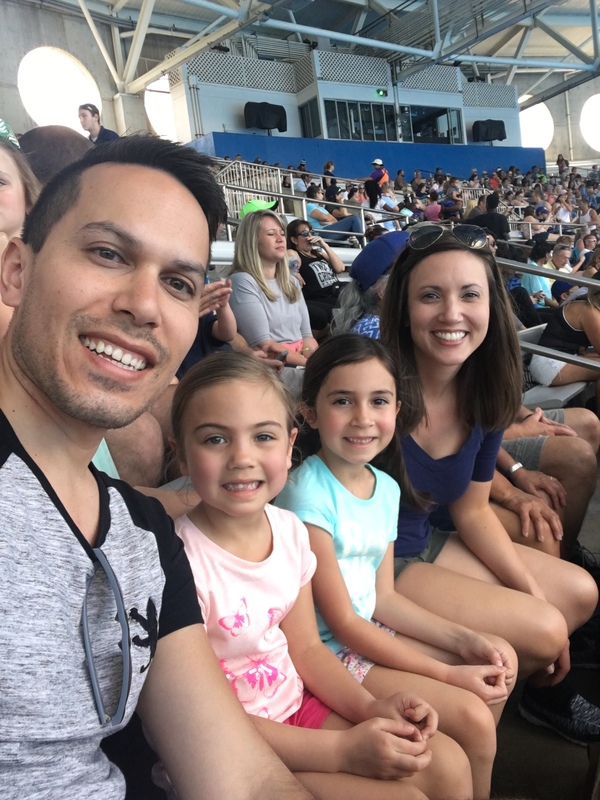 Jason grew up in Oakville, Ontario, and now he and his family minister to a network of church plants in the Greater Toronto area, The Hamilton Fellowships. Although Jason did not grow up in church, he became very involved in The Sanctuary Church as a young adult. It was in that community of believers that he and his wife, Kimberley, began to feel called to do something different. As they prayed about where God was leading them, they started to learn about the need for more churches across Toronto. 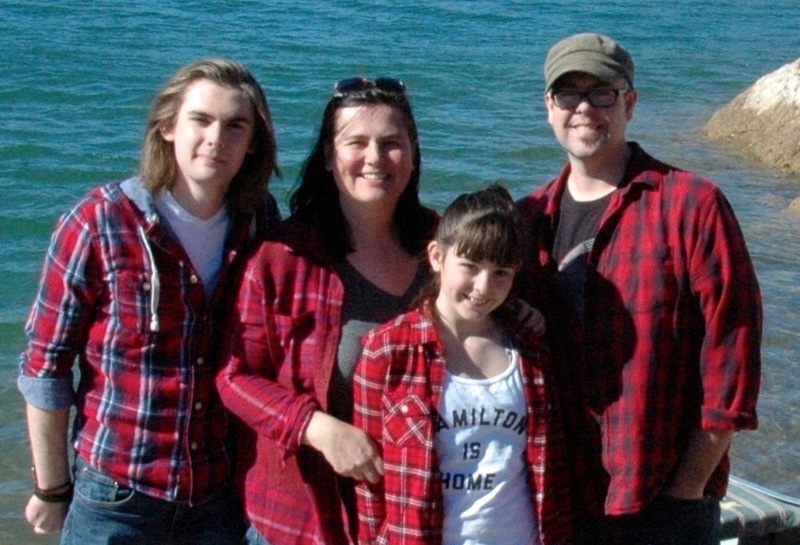 The McGibbons joined a group from The Sanctuary Church to start a new church plant in Milton. This church was thriving and they were happy to be part of this growing ministry. However, their son was receiving medical treatments at a hospital in Hamilton and they found themselves spending more and more time with the people in the Hamilton community. They began to feel burdened for these people, and five years ago they started a house church, Hamilton Fellowship. Jason’s heart is in training leaders for the next generation of churches. He is working with other church planters in the area to start a network of church plants. He serves as a church planting coach and is the regional ministry leader for the Canadian National Baptist Convention. Jason’s vision for Hamilton Fellowship and the other churches in the area is to identify those who are lost, invest in building relationships with them, invite them to a small group or service, and increase by making disciples. “One of the things we learned right from the beginning was the value of being active in the community and serving the community,” Jason said. There are many misconceptions about Christianity among the people Jason works with. “It’s a culture that has intentionally stepped away from the church,” Jason said. One of the greatest challenges is that many people have not heard the true Gospel. Jason hopes the network of churches can become more established in the years to come. They hope to have a central building by the Fall of 2017 to act as an administrative resource to the churches in the network. Their vision is that over the next three years they would be able to reach more lost people by having four established churches in the Hamilton area. To learn more about the life and ministry of the McGibbon family, check out Kimberley’s story HERE! Target has failed in Canada. And I can’t say that I’m surprised. But it’s not because I know much about retail. My notable retail experience includes three years working at Smart Set in Southcentre Mall during high school. I was excellent at folding t-shirts for the 2 for $25 table. Nope, a retail giant analyst I am not, but what I do have I offer to you: regular old church experience. Most of my childhood and teenage years as a neo-charismatic Christian in western Canada can be characterized by an almost identical exercise: a big American name comes to Canada to plant a church, and then in rather short order, heads back over the border, usually while blaming us for the failure. 1. Target tried to open American stores in Canada. That sounds a bit silly when I write it out but here’s what I mean: Americans often tried to start American churches in Canada. They wanted churches that looked like American churches and they wanted people who thought like Americans. And then there would be frustration because we weren’t, well, American. 2. Target was out of stock of the essentials. When people went to Target, they simply never found what they actually went there to get. It’s hard to miss this metaphor for the church in Canada. Often what we have to offer as a church isn’t what people actually want. Canada isn’t the United States and we aren’t Europe either. Each community has its own religious history and even that changes drastically from neighbourhood to home. 3. Target went too fast. In less than a year, the retail giant created 133 stores and a few distribution centres. From a church perspective, I saw many church planters fail because they also went too fast. They landed and set up shop quickly. They weren’t part of the community, they had no friends, they didn’t take the time to live among us and with us. They didn’t love us and it became obvious. We were a project, not people. 4. Target refused to allow people in Canada to lead. Like most retail giants, leadership isn’t valued as much as management. We often saw the church planters come with Their Vision and Their People and Their Six Month Plan: we were there simply to execute their plan. Our input was not required. 5. Target didn’t connect to the communities where they set up shop. The leaders often didn’t consult the area churches, leaders, or believers. They simply showed up and started without a thought for other believers already labouring in that field. By not connecting to their community, these leaders often missed opportunities to learn and to be part of something amazing. I’ll miss Target in theory. I feel incredibly sad for their employees today. But the truth is that I didn’t shop there either. How Do I Know if God Wants Me to Plant a Church? “How do I know the Lord wants me to go here?” is a common question I get from young church planters trying to decide about a planting a church. The answer to that question is of utmost importance. People have different opinions on this, but I’m going to give you mine. I don’t think a church planter should go plant a church until you’re called to a specific place and people. This is a little tricky because I actually don’t think people are generically called to church planting. I think they’re called to plant a church among a certain people or a place. You can’t build your entire view of something on your personal experience, but I will share my calling as an illustration. Even though I got turned down by my denominational missions agency to be a church planter (I was, after all, 20 and had no training), God still spoke to our hearts. I was up in Buffalo, New York and Donna was at home. I returned and told her when I was at Prospect Avenue and Seventh Street in Buffalo I discerned that the Lord wanted me to plant a church there. Donna said she was praying and that God told her the same thing. We knew at that point we were supposed to go. It was significant, but that’s only happened to me once. I’ve planted six churches and the level of clarity was not as evident. But, there was always a sense of call. Confirmation came to me in every place when I knew that I could do nothing else except plant the church among the people of a certain place. I could not do anything else or do it anywhere else. I lived in my current neighborhood for four years before setting out to plant a church. I was reaching some neighbors and inviting them to church, while serving as an interim pastor at various churches. But then God put a burden in my heart that I needed to plant a church for these people and for their friends. All of the places I planted had one thing in common. I had a spiritual burden that involved a specific people—from the urban poor in Buffalo to my neighbors in Sumner County, TN decades later. Church planting and missionary work is a unique role that requires a unique and clearly discerned calling. The Apostle Paul consistently spoke of the burden he had for different people in different places. A church planter must fall in love with the place and fall in love with the people. When I fell in love with my wife, I wanted to know everything about her and spend as much time as I could with her. I did things with her that I would not normally do. I learned new things about her interests. I did this fervently because I was in love with her. The same thing is true about a people and a place where you are going to plant a church. You must fall in love with its interests. You need to learn more about the place than anybody else does because you’re falling in love with the place and you’re falling in love with the people. Pray and fast until God makes your calling clear to you. Wrestle with the Lord until it is irrefutable. I don’t want a general calling to plant a church. I want a clear burden for a specific people. I cannot plant a church until my heart breaks for the people where God has called me to plant a church. Don’t start a church without this calling. At the end of the day, I want a type of Macedonian call. Paul had one when he saw a man from Macedonia calling to him, “Come over and help us” (Acts 16:9). I’m not saying you need a vision in a dream—and I’ve never had one like that. However, I’ve never planted a church, and I wouldn’t plant a church, unless I had a clear vision for a place and a people that I knew in my heart God was calling me to “come over and help” a certain people in a certain place. This characteristic of the body of Christ is not merely an insular unity that excludes, but an evangelistic unity that seeks to include. Unity is perhaps the most misunderstood trait of community in the Church, but also the most foundational (cf. Eph 4:3-6). The emphasis on unity doesn’t end at our local body or at our denomination, but it’s a Kingdom unity that seeks cooperation with other churches in our city, with other organizations in our city, and with our city itself. When we have a Kingdom mentality, unity becomes an exclusive characteristic of the Church that is paradoxically attractive to those outside the Church. The tzadiq [just] are willing to disadvantage themselves to advantage the community; the wicked are willing to disadvantage the community to advantage themselves. If we are to seek and usher in God’s justice as a community of faith, we need to continually die to ourselves for the sake of the other, for the sake of those in our city, for the sake of Christ. We all have the same Father, both inside the Church and outside the Church. It’s our gift to experience genuine community with those who recognize this life-transforming Truth. It’s also our privilege to model, express, and call our cities into experiencing this life-transforming Truth. “A new commandment I give to you, that you love one another…. By this all people will know that you are my disciples, if you have love for one another” (John 13:34). Mercy. Compassion. Empathy. Benevolence. Healthy Intestines. Wait…what?! Yes, that would be the literal translation of this word! It’s a strong familial term that refers to feeling something in your gut, in your core. When’s the last time you showed mercy or empathized with another to the extent that you felt it in your core? For most of us, it’s been far too long. How does our community of faith embody these qualities? We become more like Christ. How do we become more like Christ? We act on these qualities. We give more joyously, we serve more sacrificially, we remember how undeserving we are, we weep over our cities like Jesus wept over Jerusalem (Luke 19:41-44). What does true humility look like? Peter, observing the example of our Lord, makes this clear. It looks like blessing those who curse us (1 Pet 3:9), being zealous for good (1 Pet 3:10-14), honouring Christ (1 Pet 3:15a), defending the hope that is within us (1 Pet 3:15b), and suffering for righteousness’ sake (1 Pet 3:16-17). We don’t just humble ourselves before our brothers and sisters or just before the world. Humility is only genuine if it is holistic, otherwise it’s just feigned modesty. Our Lord Jesus humbled Himself to draw all nations to Himself in order to gather and prepare His bride. In the same manner, we humble ourselves so that God would exalt us and others would be drawn into the presence of the Father. He believed in the Holy Ghost, not merely vaguely as a spiritual Power, but as a Person indwelling his converts. He believed therefore in his converts. He could trust them. He did not trust them because he believed in their natural virtue or intellectual sufficiency. If he had believed in that, his faith must have been sorely shaken. But he believed in the Holy Ghost in them. If you want to see the formation of genuine community, you need to begin believing in the Holy Spirit in people.